Redevco is part way through an extensive restoration programme at 38-42 East Street Brighton, which will restore this partially listed building to its former glory and create 12 premium apartments on the upper floors. Andrew Foulds, Portfolio Director at Redevco comments, “The ground floor of this building is occupied by a fantastic range of retailers including Maje, Pret a Manger, Lush, Bobbi Brown and Sandro. But the façade was looking tired and the building was in need of essential repairs to preserve its integrity. The offices had been redundant for many years and were no longer fit for purpose. 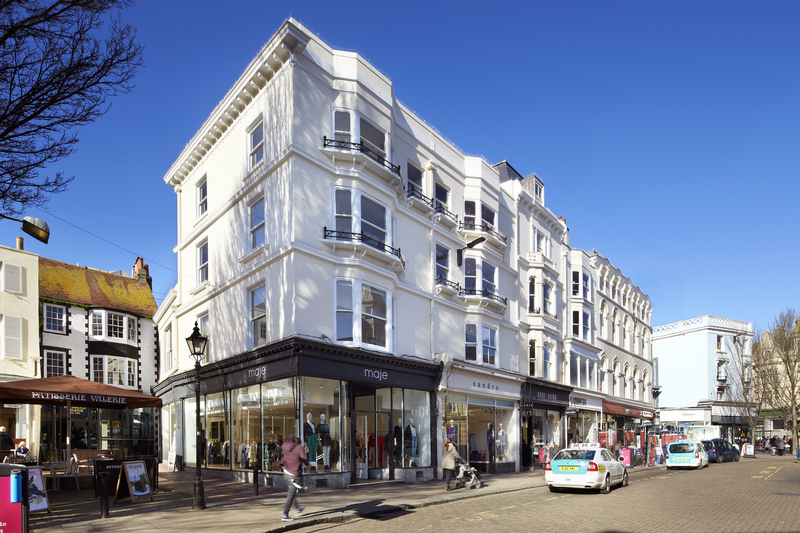 These works from part of Redevco’s commitment to a masterplan approach for the original Hanningtons Department Store, once known as the ‘Harrods of Brighton’. To register your interest in the apartments please contact our letting agents Carr Priddle Management laura@carrpriddle.co.uk.